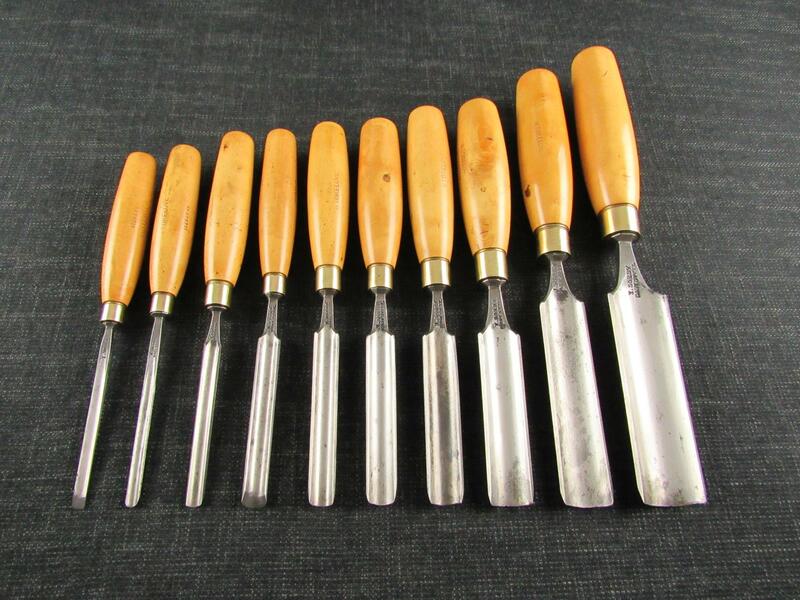 A good long 1/2 inch IBBOTSON swan neck lock mortice chisel. Marked 'THOS IBBOTSON & CO WARRANTED' with the Omega trade marks on the blade. The laminated cast steel strip can be clearly seen along the lower edge of the blade. Hardwood socket handle, previous owner's stamps 'J.CHAPMAN'.